Our team is here to assist you in all areas of your remodeling project from design to installation. Whether you have a clear idea of what you want or are still searching for that clarity, our designers can help you tie all the loose ends and help you finalize your choices based on your style, needs and the investment you are planning to make. Our installation crew and collaborating contractors have all the experience and knowledge to make your project successful, comfortable and of a lasting quality. We invite you to browse the images posted here and read what our clients have to say about their experience with our team, as well as invite you to visit our showroom where we showcase our favorite products and the quality of our craft. We are looking forward to serving you! Based in Libertyville, Illinois, Great Rooms Designers & Builders has been recognized as one of the leading, award-winning design + build companies in the Chicago North Shore and surrounding areas for architecture, design and construction year after year. Great Rooms specializes in providing clients with top-quality custom homes, home remodeling and additions, custom kitchens, and bathroom and kitchen remodeling. Our proven process and open book pricing keeps projects on time and on budget. Great Rooms Designers & Builders is proud to be a member of both the Home Builders Association of Greater Chicago (HBAGC) and the National Kitchen and Bath Association (NKBA). Feel free to reach out to us, we would love to hear from you! Highgate Builders offers specialized design and construction services for schedule-conscious clients who appreciate quality and attention to detail. We have experience with environmental architecture as well as designing and building certified green and sustainable homes. Aside from new construction services, Highgate Builders also offers start-to-finish additions and remodels. Here at Highgate Builders, we focus on personalizing the home building experience and providing our clients with a unique, custom home that is designed to fit their budget. We build homes in the northern Chicago suburbs, including: Glencoe, Winnetka, Highland Park, Northbrook, Evanston, Deerfield, Wilmette, Kenilworth, Lake Forest, and Lake Bluff. 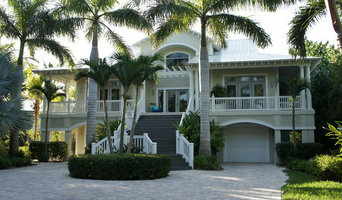 Highgate Builders has also constructed vacation homes in New Buffalo and Lakeside, Michigan. Our pledge is to establish lasting relationships with our clients and gain their trust through exceptional performance by every member of our team. Contact us for your next great project. 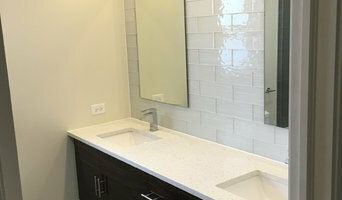 O’Connor Brehm Design-Build has established a reputation as one of the premier architect-led design-build firms in the Chicago area. They are known for creating homes with a refined aesthetic style rooted in traditional architecture that is perfectly suited to modern lifestyles. They are committed to quality construction that incorporates the most current proven building technology resulting in homes that are comfortable, durable and sustainable. O’Connor Brehm Design-Build’s in-house architects have over 25 years of experience designing luxury homes. 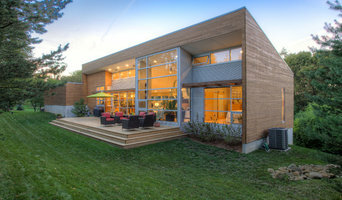 Their focus is to design homes that are timeless, distinctive and aligned with each homeowner’s unique aesthetic style and functional program. With their architect led design-build model O’Connor Brehm’s design professional is intimately involved in the process from beginning to end allowing all field decisions to be made with consideration of both aesthetic and technical impact - resulting in a more cohesive project. O’Connor Brehm Design-Build also includes a team of talented professionals - construction managers, interior designers, engineers and landscape architects - who all work together to ensure a well coordinated seamless project. The use of the highest quality materials and tradesmen that are masters of their craft result in construction quality that is among the best in the business. O’Connor Brehm Design-Build welcomes the opportunity to discuss how they can help you imagine and create a home that is uniquely yours. How does an architect work? Download our free guide on What an Architect Does and How You Benefit! <a rel="nofollow" target="_blank" href="http://berneche2architecture.archwebsite.com/how-architects-give-tremendous-value/">http://berneche2architecture.archwebsite.com/how-architects-give-tremendous-value/</a> People looking to build or modify their home seek an architect who understands their vision, yet who can also bring fresh ideas to the table. We have seen many unique scenarios for 20+ years and we use those experiences to your project. We are a husband wife architecture firm doing both residential and commercial work, new construction and renovations. We have both collectively worked at seven other firms before opening our own firm, and bring knowledge from those experiences to shape our practice. Those offices included K-12 planners to firms providing both residential and commercial project types in both Indiana and Illinois. We carefully listen to and analyze how you live, work, and play We create design solutions tailored to your situation We collaborate with your and your team to build a sustainable product that will serve you for years to come "We create the 'box' by thinking outside of it!"